The house sits on a triangular shaped lot, and to make the best use of the site, they positioned the house on an angle, allowing the home’s large windows to look out onto the big backyard. 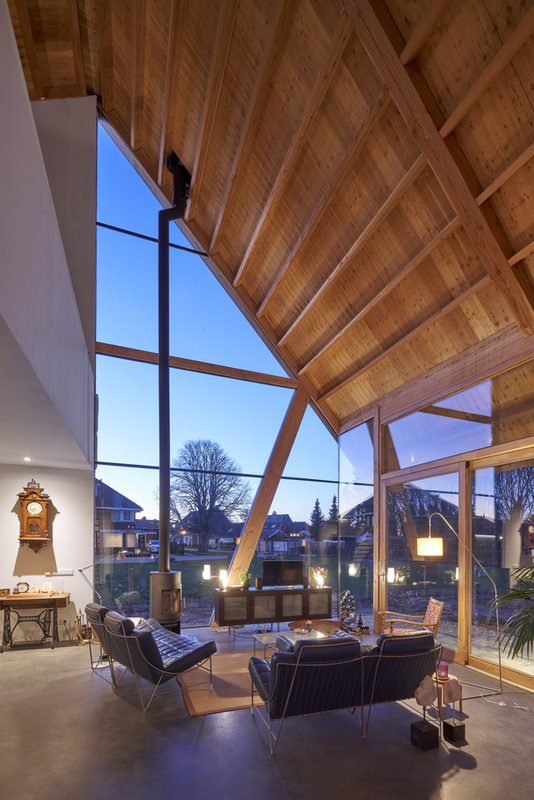 Inside, the high gable roof allows plenty of natural light to flood the interior of the home through floor-to-ceiling windows on three sides of the open plan living room and dining room. A curved wood wall flows from the front door and around to the kitchen. It also hides the laundry-room, toilet, cloak-room, and storage. Adjacent to the kitchen are stairs that lead up to a work area, two bedrooms, and a bathroom. 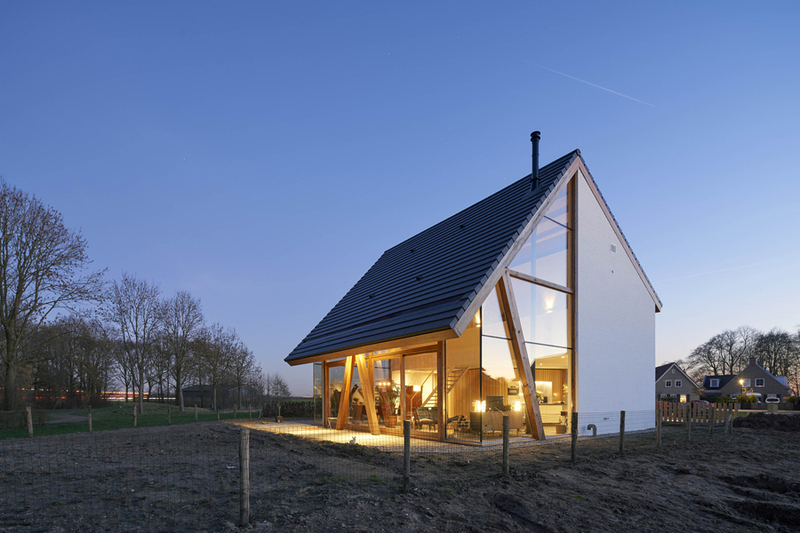 Also be sure to check 15 creative modern wooden houses.